Finally June has arrived! From the weather you wouldn’t say it, but I’m not worried for my plans for this weekend in Tuscany. Yes, this weekend I don’t plan to stay in Florence but plan on going around Tuscany. So, these are some of my plans. Saturday morning early wake up, about 9.00, because I want to go to local markets. First I want to go to Impruneta and then to Greve in Chianti. I want to have a “light” lunch in Greve eating some schiacciata (Tuscan bread) filled with sbriciolona (a typical ham) at the Macelleria Falorni in the main square. 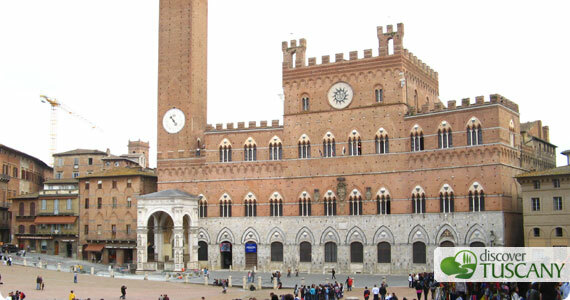 Then I’ll head to Siena, have to be there before 5 p.m., because at that time starts a big treasure hunt in the historical center. The event is the conclusion of the great wine festival Chianti è. The treasure hunt will also meet the traditions of the Palio and will end with a typical dinner in Contrada. English speaking staff will assist you and reservations are required. On Sunday I’d like to go to Cortona for the Giostra dell’Archidado. This a beautiful Medieval Festival, whose origins date back to the Middle Ages, animating the streets of Cortona with more than 300 people dressed in rich historical costumes, as well as knights and horses. At 11 a.m. there is the last heat, called Provaccia, and at 5 p.m. the horse tournament takes place. If you’re in Cortona on Saturday, there is also a special parade and flag-throwers the evening prior. If instead I’m too tired after the treasure hunt in Siena on Saturday, I’ll go to Montespertoli for the Chianti Exhibit. It is an important wine and food festival that on Sunday features a nice handicrafts market. You can taste good Chianti wine and local products. On the way back from Montespertoli I can stop in Chiesanuova for the Pine Nut Festival. I like this festival because it’s still a genuine Tuscan festival, where you eat good food, drink excellent wine and don’t spend too much. So, I have not yet figured out my plans for this weekend in Tuscany, but I’m sure I’ll have fun! How about you – share your plans with us!